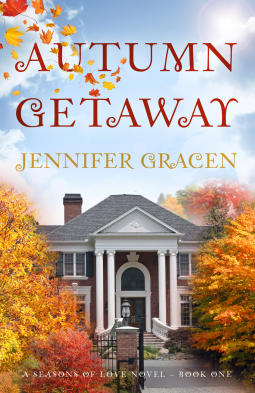 Author Jennifer Gracen brings together a colorful cast of friends and family in Book One of the Seasons of Love series, AUTUMN GETAWAY. Newly divorced mom Lydia is just getting back on her feet. Her college roommate’s wedding promises a much-needed getaway weekend with old friends, at a beautiful manor in Connecticut. When she meets Sam, a handsome friend of the groom, she's nearly overwhelmed by a confusing mix of hope and trepidation. Their instant connection feels intensely real, to both of them, but the ink is barely dry on her divorce decree. It takes all her nerve, and more than a little prodding from her girlfriends, to convince Lydia to give her heart - and Sam - a chance. But when the magical weekend comes to a close, Sam must return to Chicago, while Lydia heads back to her complicated life and young son in New York. Can their newfound connection survive the trials of physical distance and years of emotional baggage? I really enjoyed this book a great deal. The style of writing this author writes, has kept me engaged for the whole story. To the point when everyday life kept getting in the way it irked me. I really wanted to know what was going to happen next with the characters. I loved most, disliked several, and on the fence with a few. I laughed out loud, teared-up, read, and related parts to the hubby. This story centers on a wedding of college roommate Melanie 37, and her fiancé Ryan. You see her roommate and bestie Lydia Powell 36, has been under a lot of stress. She really needed this three day weekend and all the wedding weekend had to offer. She was looking to relax, reconnect with other college friends, and enjoy her friend’s wedding. Knowing she had just signed her much wanted divorce papers that week, her friends wanted her to cut loose. She had been married 9 years to Matt her ex. She has a three and a half year old, Andy. Which she figured out was the only good that came out of her marriage. They had ended up disgruntled roommates rather than a married couple for the last 3 years of their marriage. Now they fight about everything. He gets upset all the time because their son has delayed speech maybe only ten words and he tends to act out because he can’t communicate. So, it’s always tense around Matt to say the least. To say Lydia was looking forward to this weekend was an understatement. In the lobby upon check-in she encounters a guy that for the first in a very long time makes her body react. 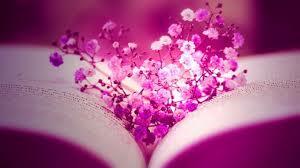 Then later when she is out in the beautiful garden of the resort estate reading he joins her. They greet each other, exchange first names, Sam, and chat. Then both figure out they are both there for the same wedding. They see each other again that night at the out-of-towner dinner and they can’t keep their eyes off one another. They thought they were keeping it on the down low but not the case. At the after party at the pub, Sam Forrester’s sister-in-law corners Lydia. Paige is very catty like basically saying how loose it is of her to be a newly divorced woman and being a single mother going after her brother-in-law whom she just met. All while the ink on her divorce papers are still wet. This blew Lydia away, she wanted to cry. Then something goes on in the pub so Lydia leaves with Sam walking her back to her room. Alec has a talk with Sam the next morning about the evils of getting trapped by the newly divorced single mother but if he is just looking at this hot single woman to score a one night stand go for it. But Alec being a divorce attorney and Sam’s older brother he felt it was his duty to watch his back. Sam gets angry but for me not angry enough. Not with any of the family that buts in. I don’t know if Sam is what he seems to be a nice guy. The college friends are a hoot. I love Donna. Says what she means, means what she says. All in all a fun story. I give this 5 stars. Provided by Net Galley.